Turning heads as they passed in the halls, students at the Satellite Careers Academy couldn’t help but pause to gather some of the wisdom being shared by Ellen Perkins Simpson, Executive Director of the Friendship Center. All JAG students are either members or elected leaders of JAG’s Career Association, and as such study and discuss local resources and needs as they decide on community service projects. The SCA’s JAG students have opted to give back to their community by working with the Friendship Center of New Britain. The center has stood as a pillar of the community for decades, with services now including emergency shelter, community outreach and homelessness prevention, and permanent supportive housing. 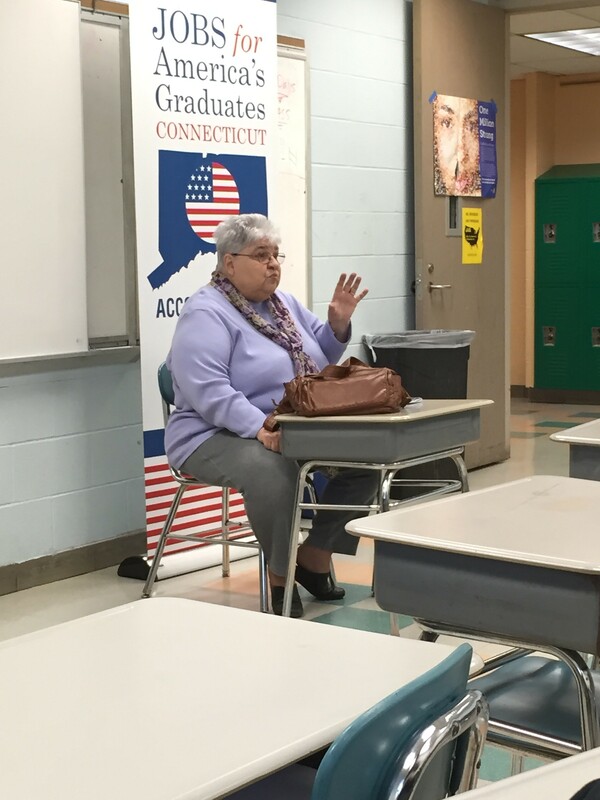 Mrs. Simpson was kind enough to visit our JAG class Jan. 15th and discuss with a rapt audience the history of the Friendship Center and the services rendered therein. From humble beginnings, Ellen has seen the center evolve over decades. Her involvement came at grassroots levels with her acting as liaison to local ministries to illicit donations and further the improvement of the center. Modern times see the center playing host to low income families with assistive housing and help planning their economic present and future. Participation was key in this presentation as Mrs. Simpson asked each student questions regarding their experience with New Britain’s homeless, how they believe the situation can be improved, and what they can do to help and work with the Friendship Center. Whether via volunteer work or by considering professions that contribute to the Friendship Center’s team of dedicated employees, Mrs. Simpson made it clear that any and all who wished to be a part of the organization were welcomed with open arms! 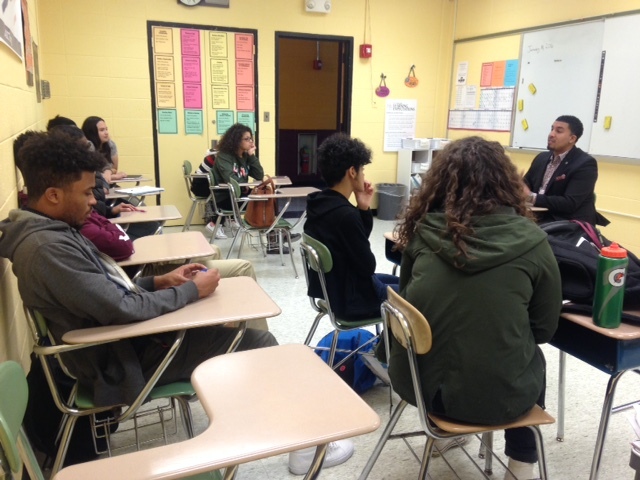 On January 14th, New Britain High School JAG participants got the chance to sit down and speak with Manny Sanchez. Mr. Sanchez is a member of the city council for New Britain and is also the Employer Relations Coordinator at Goodwin College. Manny’s personal upbringing and rich experience left students feeling inspired to pursue their dreams. The interactive topic of conversation was overcoming adversity. Sanchez states, “you have to do better for yourself, you have to do better for your life. There’s no other option.” The message of perseverance was genuine and the students responded positively to the realness of the conversation. 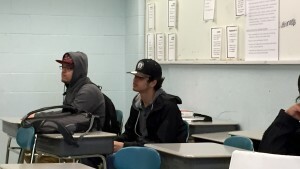 The talked helped students gain the perspective that they, as individuals, are in control of their destiny and that they need to work hard for what they want in life. JAG CT is pleased to announce that a new program will begin serving students this January at Hartford Public High School. 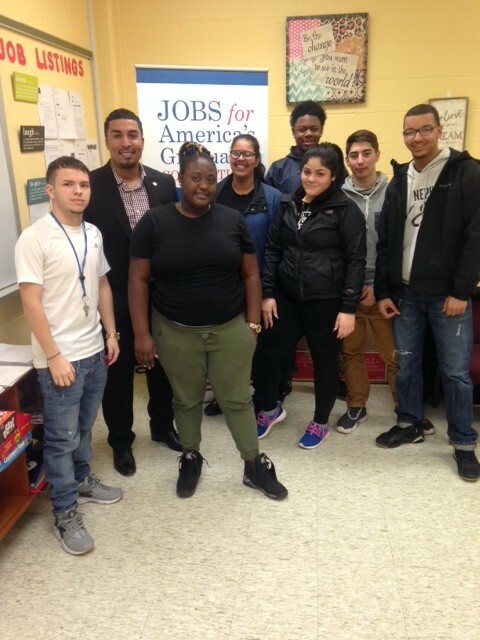 Keylon Levine, seated at left, joins the JAG CT team and will housed primarily in HPHS’ Academy of Nursing and Health Sciences. His JAG class will begin after the Martin Luther King Holiday, and Keylon is excited to begin interviewing and working with students. The expansion is made possible by a grant from AT&T via JAG National, part of a larger effort to bring JAG’s proven leadership development services to more students and to improve states’ workforce readiness. AT&T is a strong supporter of JAG and JAG CT, and its senior Vice President of Public Affairs and Chief Sustainability Officer, Charlene Lake, serves on JAG’s national Board of Directors. 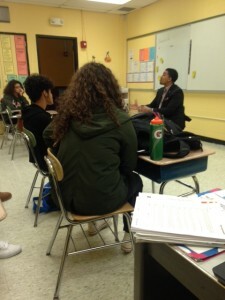 Keylon took part yesterday in a team meeting at New Britain High School. From left are Courtney Sak of New Horizons in New Haven, Lead Specialist Justine Meyer of Manchester High, Keylon, Nicole Jones of Hillhouse High in New Haven, Patty Damiani of East Hartford High School, Richard Hegeman of New Britain High School Satellite Careers Academy, and Emily Carver of New Britain High School. Welcome Keylon, and thanks to AT&T, the Hartford district, Hartford Public High, the Academy of Nursing and Health Sciences!